"... it’s the teeming richness of the whole that overwhelms and Eschenbach and his players had the measure of the music’s vast perspectives." "No less an achievement was the near-flawless execution of the difficult solo parts. 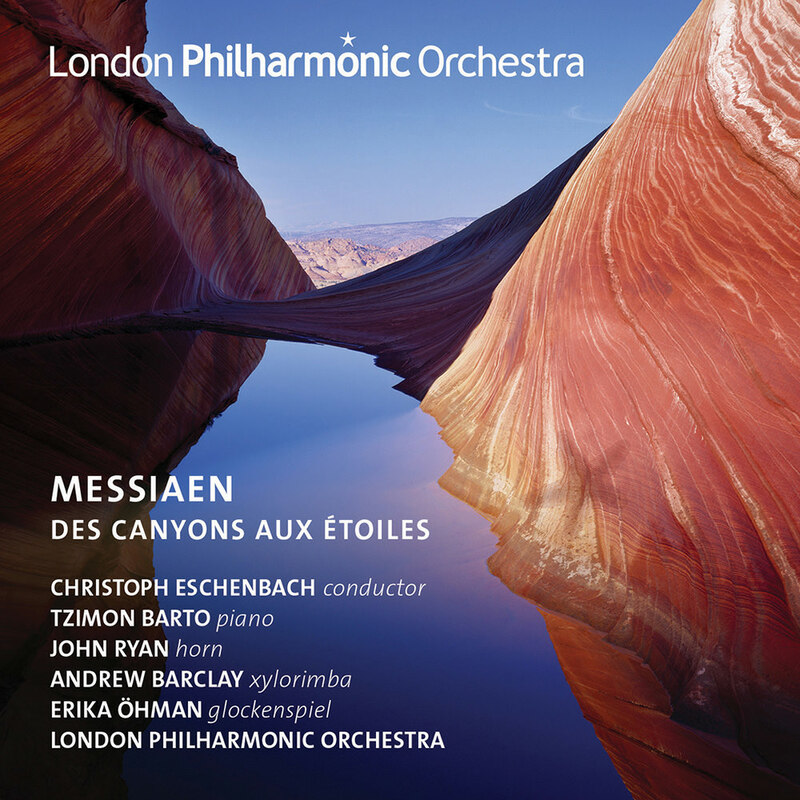 This performance contained much that was special and desirable in the realization of Messiaen’s highly idiomatic music ..."
A live concert performance from the London Philharmonic Orchestra under Christoph Eschenbach, featuring American pianist Tzimon Barto. Commissioned to celebrate the bicentenary of the US Declaration of Independence, Olivier Messiaen’s Des canyons aux étoiles (From the Canyons to the Stars) was inspired by the composer’s tours around Utah’s magnificent landscapes. The work’s unusual instrumentation creates a texture that evokes the majesty and loneliness of the landscape with astonishing effect. Recorded live at Royal Festival Hall in London in November 2013, this album presents a rare opportunity to hear a work not available extensively on record and infrequently performed live.